John Rowan was born on June 27, 1928, in Chicago, Illinois. He enlisted in the Aviation Cadet Program of the U.S. Air Force on September 23, 1949, and was commissioned a 2d Lt and awarded his pilot wings on October 28, 1950. His first assignment was as a Ferry Pilot at Tinker AFB, Oklahoma, from November 1950 to October 1951, followed by F-84 Thunderjet Combat Crew Training before deploying to Korea, where he served as an F-84 pilot with the 69th Fighter-Bomber Squadron of the 58th Fighter-Bomber Wing from March 1952 to February 1953. Capt Rowan next served as a test pilot with the 4926th and 4927th Test Squadrons of the 4925th Test Group at Kirtland AFB, New Mexico, from April 1953 to March 1961, including service as an F-105 Thunderchief project pilot. His next assignment was as a T-28 Trojan pilot with the 4400th Combat Crew Training Squadron at Eglin AFB, Florida, from March 1961 to April 1962, and then as a T-28 pilot with the 1st Combat Applications Group at Eglin AFB from May 1962 to January 1964. Maj Rowan then served as an F-105 pilot with the 53rd Tactical Fighter Squadron at Bitburg AB, West Germany, from January 1964 to October 1966, and as an F-105 pilot with the 469th Tactical Fighter Squadron at Korat Royal Thai AFB, Thailand, from October 1966 to August 1967. His next assignment was as an F-105 instructor pilot and operations officer with the 563rd and 562nd Tactical Fighter Squadrons at McConnell AFB, Kansas, from August 1967 to February 1969, and then as Chief of Operations and Plans with the 23rd Tactical Fighter Wing at McConnell from February 1969 until his retirement from the Air Force on April 1, 1970. John Rowan died on November 12, 1982. 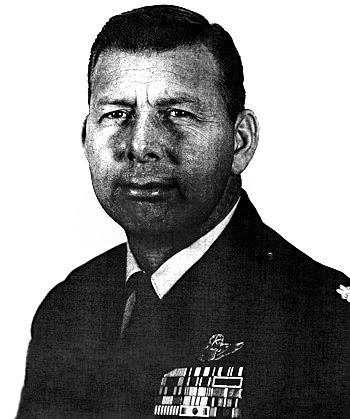 Major John M. Rowan distinguished himself by extraordinary heroism in connection with military operations against an opposing armed force on 19 March 1967. On that date, Major Rowan made United States Air Force history by successfully leading a flight of three F-105 Thunderchiefs on an unprecedented and daring low-level, high-speed attack on a vital thermal power plant, deep in North Vietnam. This tactic of weapons delivery was an original concept formulated and submitted by Major Rowan to higher headquarters. Despite extremely hazardous flying conditions consisting of extremely low clouds and poor visibility, an intense barrage of antiaircraft artillery fire over the target, and a near miss by an SA-2 surface-to-air missile, Major Rowan heroically led his flight through rugged mountainous terrain to accomplish this highly significant mission. 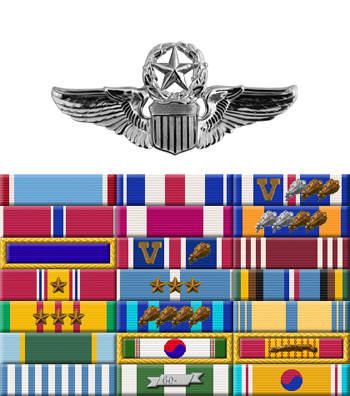 Through his extraordinary heroism, superb airmanship, and aggressiveness in the face of hostile forces, Major Rowan reflected the highest credit upon himself and the United States Air Force.